Make Your Own Body Powder. It is easy to make your own body powder at home. 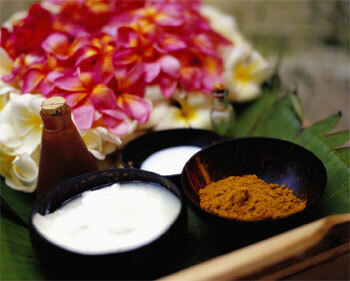 Body powders made with herbs and flowers are especially nice to use in the summertime. They will sooth and scent the skin plus they are absorbent. Most of the ingredients for making your own powder is easily procured from your garden and kitchen cabinets and are among the simplest of country crafts. Use a blender or food processor and combine 2 tablespoons potpourri and 2 tablespoons cornstarch, arrowroot or unscented talcum (I like to use cornstarch because it has such a nice feel). Grind until they form a well-blended fine powder. Store and label so that you know the scent. You can make your own powder with herbs and spices the same way. Be sure to really wash out your blender when you are done with very hot water. It is best if you can get one really cheap at a Goodwill or garage sale and just save it for this purpose. The difficult part of making body powders is deciding what scent you want. I like the simplicity of an individual flower or herb yet sometimes Iâ€™ll use my favorite potpourri powder. If you want to make body powder for a gift for a man, scent it with ground spices. For a gift for a woman, make the powder with her favorite flowers. It use to be difficult to find a pretty container for body powders, but some gift shops carry beautiful glass jars made expressly for body powders. You can also find them in antique stores and thrift shops very reasonably priced. You can even put your powder in a shaker jar for your own use. Handmade powders are a very nice gift. They are also good sellers at craft shows. If you make your own body powder and have a few tips and want to share it please contact me and I will add your idea.